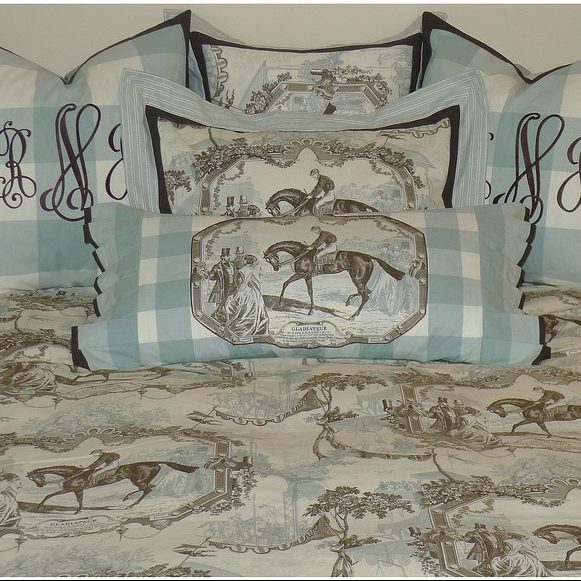 Equestrian, a classic horse toile printed on 100% cotton, is offered in Cloud, a soft aqua and brown on cream. Coordinates include Seabreeze buffalo checks in 100% cotton. Colette Matelasse from our Basics Collection easily mixes with this delightful toile, offering many ways to create your own unique look. 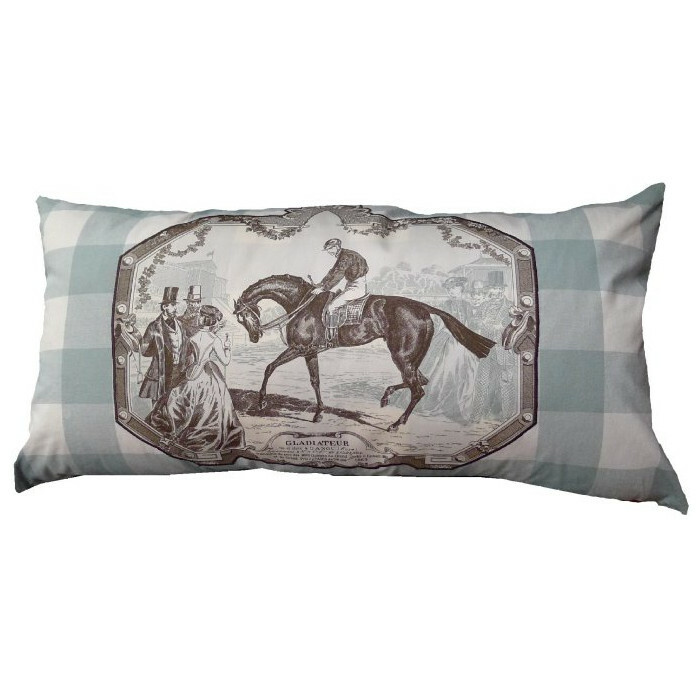 We also offer this toile in a black/amber colorway for a totally different look – see the Black Amber Equestrian Collection. All items in this collection are made-to-order in West Virginia.